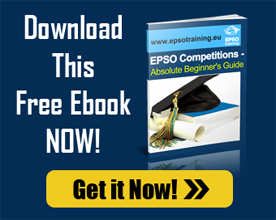 The European Personnel Selection Office (EPSO) is organising an open competition to draw up reserve lists from which the institutions of the European Union will recruit new members of the civil service as ‘administrators’ (function group AD). — A level of education corresponding to completed university studies of at least 3 years attested by a diploma in the field of audit, economics, accounting, finance, business administration and/or informatics. — A professional qualification of an equivalent level to the aforementioned studies in the field of audit, economics, accounting, finance, business administration and/or informatics. — A level of education corresponding to completed university studies of at least 4 years attested by a diploma followed by a minimum of 6 years’ relevant professional experience, of which at least 3 years in the field of audit (internal or external, including IT audit). — A professional qualification of an equivalent level to the studies mentioned in point 1 above followed by a minimum of 6 years’ relevant professional experience, of which at least 3 years in the field of audit (internal or external, including IT audit). —A level of education corresponding to completed university studies of at least 3 years attested by a diploma followed by a minimum of 7 years’ relevant professional experience, of which at least 4 years in the field of audit (internal or external, including IT audit). — A professional qualification of an equivalent level to the studies mentioned in point 3 above followed by a minimum of 7 years’ relevant professional experience, of which at least 4 years in the field of audit (internal or external, including IT audit). — If the computer-based MCQ tests are organised upfront, the files of the candidates will be checked for eligibility in descending order of the marks obtained until the number of eligible candidates reaches a certain threshold defined for each grade by EPSO acting as Appointing Authority. The other files will not be checked. — If the computer-based MCQ tests are not organised upfront, the files of all candidates will be checked for eligibility. — if the MCQ tests were organised upfront, you reached one of the highest total scores also for grade AD 5. A maximum of 3 times the number of successful candidates sought per grade will be invited to this phase. If you scored one of the highest total marks at the selection based on qualifications, you will be invited to attend an assessment centre for 1 or 2 days, where you will take tests held in your language 2. If the computer-based MCQ tests described in point 1 were not organised upfront, you will sit them at the assessment centre. After checking candidates’ documents, the selection board will select a reserve list per grade of the eligible candidates who scored the highest marks following the assessment centre, until the number sought is reached. *This notice covers two grades. You may only apply to one. You must make your choice when you apply online and you will not be able to change it after you have validated your online application form. However, under certain conditions described under point 2, your application to grade AD 7 may be reassigned by the selection board into grade AD 5. **You must fill in your application form in English, French, or German.